It’s shaping up to be a great year in the college football universe with the season right around the corner. 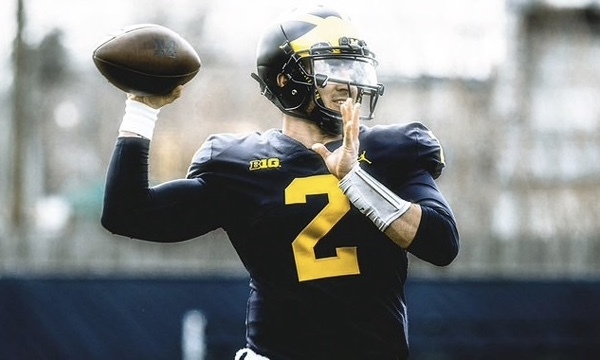 As the Big Ten tries to make the leap to becoming the best conference in college football (if it’s not already), I think it is important to look at the most valuable position in football, the quarterback. 1. In the number one spot, unquestionably, is Trace McSorley. While I personally do not like him, the numbers simply tell me to go pound salt. 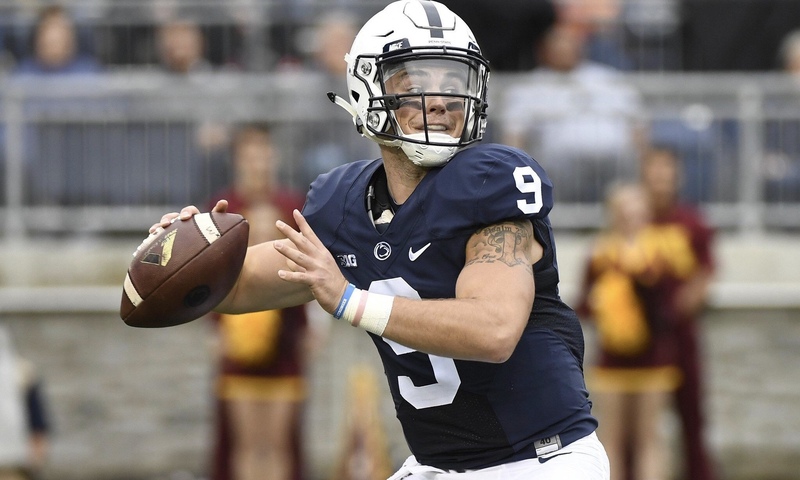 Trace McSorley is good, and in fact, he could be one of the best quarterbacks in all the country. Last year his completion percentage shot up to 66% while still throwing for roughly 3500 yards. In addition, he rushed for almost 500 yards last year, a career high. This year, his numbers should increase even more, considering with Barkley gone the offense will undoubtedly lean more on McSorley to keep them going. 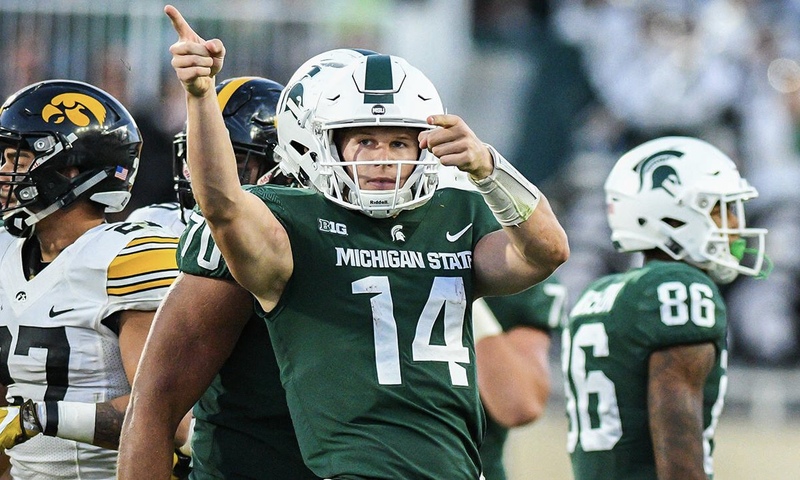 The last 2 years he has been arguably the top QB in the Big Ten, and with JT Barrett (winner of the last 2 Big Ten QB of the year awards) gone, there’s no reason to doubt that McSorely will be the favorite to win the award this year. 2. After McSorley there is some debate over the next spot in the rankings. While it hurts me as an Ohio State fan to say this, Shea Patterson is the 2nd best QB in the conference in his first year in Ann Arbor after transferring from Ole Miss. The former number 1 QB coming out of high school hasn’t quite lived up to the name yet, but the potential is there. He has yet to play a full season, but in the games he does play he averages over 300 yards per game… and that’s against SEC defenses. Patterson now joins a Michigan squad that looks very different from his Ole Miss squads of past. He actually has a good defense now, so he will not have so much pressure to score every time he gets the ball. Also he has an outstanding RB in Karan Higdon. Throw all that together with the fact that he gets to join “QB whisperer” Jim Harbaugh, and it’s safe to say Patterson will have a breakout year in the Big Ten this year and take the Wolverines to the brink of conference superiority. Michigan is sure lucky and very excited to have him. This one is a battle between Brian Lewerke and Nate Stanley, but in the end I’ll have to give the edge to Michigan State QB Brian Lewerke. Their passing numbers were similar, with Lewerke throwing for more yards, but Stanley throwing for more touchdowns. But what Lewerke has that very few Big Ten QB’s have (Trace McSorely also does) is the ability to run. Lewerke ran for almost 600 yards last year in addition to adding 5 rushing touchdowns to his very good passing numbers. He threw for almost 2800 yards and 20 touchdowns. He also only threw 7 picks, which is exactly what Michigan State needed to put them in the best position to win. Lewerke was one of the main reasons for Michigan State’s jump from 3-9 to 10-3, and with last year being his first full season at the helm, he will assuredly improve throughout the 2018 season. 4. 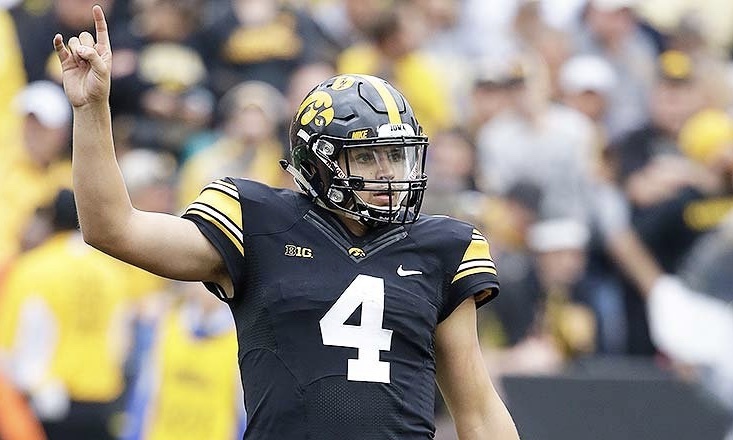 As previously mentioned, my number 4 spot goes to Iowa QB Nate Stanley. Stanley had a great year in 2017 as only a sophomore. He threw for nearly 2500 yards with a great TD:INT ratio, accounting for 26 touchdowns with only 6 picks thrown. Stanley is an absolute non factor in the running game, but as he gets more experience, his passing numbers will continue to improve. Last year he only completed roughly 55% of his passes, so as that comes up so will all other stats. What impressed me most about Stanley is his ability to perform in big games. Iowa had 3 huge games in 2017. First against Iowa State where Stanley threw for 333 yards and 5 TDs. Then, against Penn State where he threw for 191 and 2 TDs (and put up a good fight against McSorely). And lastly on that dreaded November day throwing for 226 and 5 TDs in the 55-24 drubbing of my Buckeyes. If Iowa starts off the season well and puts themselves in some big games late, I’m excited to see Stanley keep this trend up. 5. 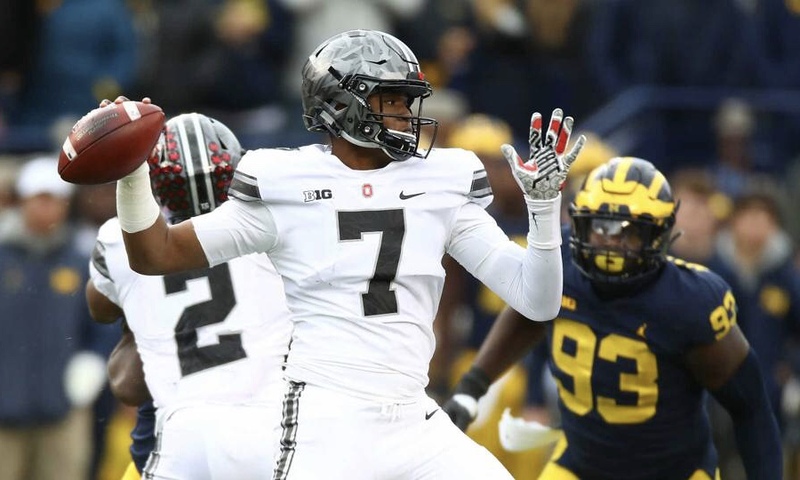 The last QB on my list has to be Ohio State QB Dwayne Haskins. After 4 years of Ohio State fans complaining about how terrible the best QB in Big Ten history was, they will finally get what they want in Dwayne Haskins. He will not be a running threat as JT was, but unlike JT, he has a beauty of an arm. He dazzled in limited action last year. On only 57 passes he threw for 565 and 4 TDs on 70% completion. And not all of these were in garbage time as he led an outstanding comeback vs archrival Michigan after an injury to Barrett. With the Buckeyes passing attack bringing back just about everyone, Haskins will have experience at all other offensive skill positions to offset his inexperience. His numbers should look great this year, and he has a great chance to shoot up the Big Ten QB rankings as the season progresses. All of these QBs are outstanding and talented, and each of them have what it takes to put their teams in contention for the Big Ten title. There are some notable exceptions such as Wisconsin QB Alex Hornibrook and Northwestern QB Clayton Thorson. If they exceed their expectations this year, there is plenty of wiggle room to push them into the discussion of best Big Ten QBs.